The journalist and "accidental theologist" discusses distinguishing human from legend in her latest book on the founder of Islam. At the heart of this book lies a genuine attempt to try to understand the human experience Muhammad went through: from the revelations which sent him fleeing down Mount Hira to seek solace in the arms of his first wife Khadija, to exile, the founding of the Muslim community in Medina, his triumphant return to Mecca, and, finally, to death. Throughout all of this, Hazelton queries and questions in a way that will resonate with a non-academic audience trying to come to grips with the fastest-growing religion on the planet. It is a welcome antidote to the barrage of hatred and distortion to which Islam has been subjected since the early Bush years. In this sense, The First Muslim offers the opportunity for balance to be restored and for those of us who don’t subscribe to the extremes to regain the middle ground. Lesley Hazleton spoke with me over the phone on a windy, rainy day in Seattle, where she lives and works from a houseboat on a lake in the city. Guernica: In 2010, you began writing The Accidental Theologist, a blog which you describe as “an agnostic eye on religion, politics, and existence,” but which seems to mark the beginning of your interest in Islam. You wrote about the Sunni-Shia split and have now produced a biography of the Prophet Muhammad. This project keeps growing. Lesley Hazleton: It seemed a natural progression from After the Prophet. I had read several biographies in preparation for that book and in the earliest ones—Ibn Ishaq from Baghdad in the eighth century and al-Tabari from Baghdad in the ninth and tenth centuries—I was struck by the traditional Middle Eastern way of telling stories. It doesn’t have that straight, linear narrative a Western audience expects. The modern biographies tended to be pious, devotional biographies, which are a complete turn-off for non-Muslims. Those for general audiences seemed merely dutiful, plodding through all the main events of his life without asking questions, without delving, trying to figure out who this man was. I grew frustrated; I wanted a feel for the man himself, not the two-dimensional legend. The more I learned about the three-dimensional man, the more he was weighed down by the sheer accumulation of fact and detail. Nobody had really looked and said: “What was really going on here? Let’s enter into this experience. Let’s figure out how it felt.” Not just what happened, but why. The main duty of a biography is not simply to trot dutifully through the facts of someone’s life, but to enter that life, make it come alive, make your subject real again. Guernica: That comes across strongly, particularly in the early part of the book where you take us inside what it would be like to experience the revelations as Muhammad did. There is a good degree of creative imagination invested in this book. You convey the terror and bewilderment, bringing us to a very human portrait of the man. In this sense, you are entering the tricky territory of belief versus non-belief. How is the non-believer to understand these events? You mention Freud and the importance of dreams to the ancient Greeks, giving the references that might arise for the modern reader while reading the descriptions of Muhammad’s revelations. Did you feel you were entering a gray area writing this? Lesley Hazleton: I guess you could call it a kind of high-wire act, which is why the book is written from an agnostic stance. There is a degree of imagination, but it’s based on deep research, from my experience of living and working with the Bedouin, for instance. I had to find out what it was like to be an orphan at that time. So many aspects of his life were elided, skipped over. The Hegira is usually translated as “migration,” but it was exile. Muhammad was exiled from Mecca, and what did that mean in a time when you were defined by where you were from? It was like being exiled from your identity. How deep an impact did this have when it comes to the Night Journey and what happened on Mount Hira? Nobody can know. We’re talking about mystical experience. My intention was not to say, “This is what happened and why it happened,” like some omniscient narrator. It was to explore—my language makes that clear. I am asking questions and seeing where those questions lead me. I am doing it openly, rather than trying to appear the expert, the all-knowing biographer, the law. Guernica: There is a school of thought among historians taking the view that to approach the story of Muhammad purely from the perspective of recorded facts leaves little to go on. The accepted histories, by Ibn Ishaq and al-Tabari, were written 125 years after Muhammad’s death, using the tradition of isnad, or chains of informants passing down over the years. They are also written from within the faith, as believers. After the Hegira, Muhammad moved to Medina and became a leader, not just a prophet and messenger, but a political leader. Here is where you get this dilemma of religion and politics, of faith and pragmatism, coming from the demands of the time and his own followers. Lesley Hazleton: All history is written from sources put together in more or less the same way. Herodotus, the “Father of History.” Give me a break! Writing about places he’d never been as if he had been there. Contemporary journalism is the first draft of history. If it appears on the front page of a newspaper, it’s still written from a point of view. Looking at original sources requires taking into account who wrote them and where, and the culture in which they were written. What dismays me about much of what has been written about Muhammad by Westerners is how few of them know the Middle East. Few of them have spent time in the region. They may be good with Arabic texts, but they have no feel for Middle Eastern culture, for the place itself. It’s as though they are writing in a vacuum. I lived in the Middle East for thirteen years and reported from there. To me, this feels like a Middle Eastern book. It’s wonderful to sit here in misty, rainy Seattle and enter each day for the past several years into a desert environment, leaping over fourteen centuries. I’ve had a dual existence. This is my way of still being in the Middle East, of living there and not living there. Guernica: As you say, we have seen a great deal of misinformation on the subject over the last decade. Some with bad intentions, some due simply to ignorance. Your book seeks to go beyond the stereotypes to give your reader insight into the complexities of the birth of Islam. One aspect of that is the role of the Jews—Muhammad saw himself as coming from the same tradition as Judaism and Christianity. Can you talk about the crucial influence the Jews had upon the direction of Islam? Lesley Hazleton: It was a dilemma it’s clear he was struggling with through the last years of his life. After the Hegira, Muhammad moved to Medina and became a leader, not just a prophet and messenger, but a political leader. Here is where you get this dilemma of religion and politics, of faith and pragmatism, coming from the demands of the time and his own followers. All these other issues coming in, too: the psychology of exile, repairing this internal identity, the pain of fighting, hand to hand, against family, friends. This was not remote-control drone warfare. It was intensely personal and painful. What happened with the Jews is fascinating because of the sense of betrayal when Muhammad was sure they were going to support him because their prophets were his prophets. He gradually realized that the age of prophecy had ended centuries before for the Jews, and they were not going to accept a new prophet, definitely one who wasn’t Jewish. He’d gone through that sense of betrayal, looking back to where he thought his support was and finding himself attacked, criticized from behind. The Jews agreed to accept him as a political leader, but not as a religious or inspirational leader. [Islam] was a movement, an approach to the divine, a certain relationship to the divine. It was very strong on social and economic principles, which is something that has been overlooked. It was about social justice. The reaction to this is very human and understandable. It doesn’t mean I sympathize with it. There is a huge difference between sympathy and empathy and for me, as a Jew, it was very hard to write about the massacre of the Banu Qurayza tribe. As I write in the book, I don’t see it as an act against Jews per se. Driven by Machiavellian forces, not Machiavelli as the epitome of evil as he is known by people who haven’t read him, but as an act of ruthless political pragmatism. This is what Muhammad had to do to establish that he would no longer put up with criticism. It was intended as, and from the historical record it did turn out to be, a one-time event. I’ve had arguments with pious Muslims who get upset about me having mentioned it. I could have elided or skipped over it, but how much respect for my subject is involved in doing that? Guernica: It was also a central moment in the development of Islam in that it was at that point that Muhammad decreed that Muslims should face toward Mecca to pray, rather than Jerusalem, as they had before. One of the key moments in the development of Islam’s sense of its own identity comes from being rejected. You write that it was the beginning of Islam’s self-identification with difference. Lesley Hazleton: This is why when I talk about Islam with a capital “I” as a religion, it is not what Muhammad formed. It was a movement, an approach to the divine, a certain relationship to the divine. It was very strong on social and economic principles, which is something that has been overlooked. It was about social justice. If you go back to the roots of Judaism and Christianity, to Elijah’s protest, Jesus’s protest against the Romans and the collaboration of priests in the temple, the same issues are involved: unequal distribution of power. Unequal distribution of wealth. In Muhammad’s case, there was gender inequality, sons being valued more than daughters. Infanticide. They began from the bottom, the Occupy movements of the time. They began with the recognition of and growing realization that we can act against corruption, against the arrogance of power and greed and wealth. Guernica: Muhammad began from the position of an exile. Because he had spoken freely of his beliefs, he was made an outcast, an outsider. This feeling remains with him almost to the end of his life, when he returns triumphant to Mecca. Islam has always had a strong appeal to the outsider, to the sense of being excluded. Lesley Hazleton: Something happens once a religion becomes institutionalized, once it becomes a “Religion,” which is connected with political and economic power. Principles tend to get lost. In the same way that early Islam was a political movement, so too was early Christianity, early Judaism. They were idealistic movements, strengthened by this idea that social justice and economic justice were part of divine rule, which gives them enormous moral authority. The early followers of Muhammad, like the early followers of Jesus, were the disenfranchised. They were the second and third and fourth sons, they were slaves, freed slaves, and women. They were a bunch of “nobodies,” which is what struck me about the new community that he founded in Medina. What an act of amazing idealism. The term “fundamentalism” is so misleading because it implies that fundamental principles are involved. Guernica: You are positive about your subject. Even when it comes to the low point of the massacre of the Banu Qurayza, you express your understanding of the act of beheading an entire tribe as necessary at that moment, either that or Muhammad losing his power. Lesley Hazleton: There is a horrible truth in that. Guernica: This book comes at a time when all across the Middle East there is a struggle going on to decide the role Islam will play in the new governments being forged. There seems a kind of irony in that. Lesley Hazleton: I think all religions develop. Often they stray a very long way from where they began. What fascinates me is that those who are known in the West as Muslim fundamentalists, or Islamists, are not going back to the fundamentals of Islam, but to a much later concept of Islam, a more aggressive interpretation of Islam. There is a wonderful book on the development of Sharia law: Sadakat Kadri’s Heaven on Earth: A Journey Through Shari’a Law From the Deserts of Ancient Arabia to the Streets of the Modern Muslim World. He traces the way in which the conservative version of Sharia is a recent development of the last fifty years. The term “fundamentalism” is so misleading because it implies that fundamental principles are involved. Islamist fundamentalists use the same highlighter version of Islam that Islamophobes use. Taking quotations completely out of context is easy when you really have no idea of the history involved. Quoting part of a verse, but not the rest of it. Taking “We” as meaning “we the Muslims,” and not as God. “We will punish them in the next life,” for example—it’s not Muslims who will punish, but God. Or even, “We will punish them,” leaving out the next life. As with any sacred text there are so many ways that you can misquote. …[T]here is a very deep interest in connecting with the basic principles of Islam that have been misrepresented, overshadowed, edged out of consciousness by the joint work of both Muslim fundamentalists and anti-Muslim fundamentalists, all of whom are doing these ghastly, literary readings out of context. I realize more and more that so many of the English translations were done in the last century, so you get misleading translations of phrases like “Jihad fi sabilillah.” Jihad did not mean fighting. It did not mean holy war until much later, after Muhammad’s time. Sabilillah is usually translated as “in the cause of God.” It doesn’t actually imply a political cause, it means “in the way” or “path” of God, which is very different. These translations were done before the development of radical, extremist Islam. It was misleading. We will spread “terror”–that word could mean all kinds of things. The terror is not terror in this life, but in the next. Guernica: You’re saying that we’re out of touch with what Islam really signifies, that we don’t have the tools to understand. This is partly because nobody took much interest in the subject, which is why the translations are centuries out of date, and partly out of intent. What has changed in recent decades is that Islam is no longer something taking place far away. It’s intricately and intimately part of the West. Lesley Hazleton: As a rough calculation, 50 percent of American Muslims rarely go anywhere near a mosque. They are not part of the devotional community. Since 9/11, this group has become more aware of its Muslim identity. It’s much like being a Jew when there is anti-Semitism around. Whether you want to be or not, you are a Jew. Therefore, there is an interest in finding out what this identity means among Muslim Americans or American Muslims, engaging with it in a deeper way, not necessarily in a devotional or pious way…. We talk about the Arab awakening. There is an intellectual awakening going on among Muslims all over, definitely among the younger generation. I don’t feel comfortable talking about this coming from the outside. Talking about “what’s happening with Islam” makes me feel like one of those pundits I can’t stand. But I think there is a very deep interest in connecting with the basic principles of Islam that have been misrepresented, overshadowed, edged out of consciousness by the joint work of both Muslim fundamentalists and anti-Muslim fundamentalists, all of whom are doing these ghastly, literary readings out of context. I call it the highlighter version of the Koran. They don’t seem to have read the Bible; if they had, they would find ten times as many such passages. I feel uncomfortable talking about Islam as a whole because we are talking about more than 1.6 billion people all over the world and there is no monolith called “Islam.” This point I have to keep making, especially with non-Muslims, because it’s as though all Muslims believe the same thing and behave in the same way. There are so many different strands, different ways of thinking within Islam. I wish someone would write about the enormous pluralism within what outsiders think of as this monolith of Islam. Guernica: We are seeing Muslims today, in the West and in the Middle East, asking what it means to be Muslim. To what degree are Muslim and Western values compatible? In the old West-versus-East opposition, it’s becoming clear that the West does not have all the answers. The Muslim world has to work out its own future, and at the center of this is the role of Islam. Lesley Hazleton: We talk about the Arab awakening. There is an intellectual awakening going on among Muslims all over, definitely among the younger generation. This sense of engagement with and interrogation of Islam is fascinating and very much to be continued. Things don’t change quickly, and our problem in the West is that we don’t have a very long timeline. What’s been happening in the Middle East quickly got dubbed the Arab Spring, as if when you’re meant to have a revolution, you’ve got three months. It’s madness. It’s like this journalistic shorthand that has taken over our thinking. We’re talking about very deep matters here—I see religion as less a matter of faith and belief than as a matter of identity. Especially in a world where the matter of identity is increasingly fractured, with so much migration. Religion provides a sense of extended family, because right there in the foundation of Islam is the idea of the Umma, the Muslim community. None of this has anything to do with why I wrote the book. It was for me. I wanted to know. I’m a writer and writers write out of a sense of exploration, of wanting to go as far as they can in order to find out what happened, make a way through the legend and find out what was real. I think being a psychologist helped me here. And my experience in the Middle East, because I can tell when something sounds real, not rewritten. Every story is deeply rooted, but it’s been embroidered. Guernica: Did this affect the form this book took? It leans more toward a dramatic narration of the events rather than a fact-and-figures historical account. Lesley Hazleton: I suppose it is a dramatization, though that’s not the word I’d use. I’m trying to understand it from the inside, even as I realize how outside I am. Obviously you can never fully understand someone else’s experience, let alone a prophet’s. But especially in Muhammad’s reaction to the first Koranic revelation and even more toward the end of his life, I do see the sheer weight of responsibility–the burden of a man placed in this situation, given this kind of mission. Let’s have empathy for the man himself. Sympathy means identification, but empathy is a good faith attempt to understand someone else’s experience. My understanding will be different from that of others, but perhaps my understanding will shed light on what other people think. My aim is to make people think, rather than to tell them what to think. In a way you don’t need the legends, because Muhammad’s actual life is so much more remarkable. The continual dialectic between faith and politics, between idealism and pragmatism, all the way through. Then there is the polarity between outsider and insider. Born the insider and becoming the ultimate outsider, then coming back as the ultimate insider. The ups and downs of this journey, and he does not come out as perfect. To pious Muslims he is the perfect man, but to me, perfection is inhuman. Guernica: Which marks the difference between the view of the believer and the non-believer? Lesley Hazleton: Minds that believe that there is such a thing as ultimate Truth and those who think there are many truths. Or no truths. One can explore. One can try to come as close as possible to what to the best of our knowledge probably happened. But to say, “This is how it was,” seems to be the utimate act of chutzpah. To contact Guernica or Jamal Mahjoub, please write here. Thanks for publishing such an excellent interview. Lesley Hazleton candidly and honestly commented on various aspects of Islam and current mis-understanding across the world. This misunderstanding is not only in the West, even in the Muslim world also Islam is not understood to the truth it was revealed to Mohammad and the the way his companions understood and practised it. So called Shariah and institutionalisation of Islam as a religion was the mistake done by the post Mohammadean era. So thanks for a beautiful correspondence. 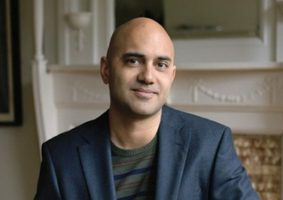 Ms. Hazleton wishes “someone would write about the enormous pluralism within what outsiders think of as this monolith of Islam.” Shahab Ahmed’s ‘What is Islam?’ published last year is a fine book to start with. There is a far greater corpus of challenging, intra-critical work within Islam and even within academic Islamic studies, both on its wealth of contradictions over time and on the complexity of the life of the prophet more specifically. Fred Donner’s ‘Muhammed and the Believers’ is a highlight.